Most parents around this time of year are running around getting everything ready for the next school year. You are probably stocking up on supplies, buying new school clothes, and maybe getting doctors appointments out of the way. This year little bear is going to 1st grade! How did that happen? Just the other day she was tiny and fast asleep on my chest, I could hear her little breath and feel her warmth… and this really did happen the other day ha! She is still a tiny human to me and even more precious she is a little girl. She is full of sassiness and life, Hailey is known for being a little fearless and in the same breath she is a worrier and an over thinker. At this young age she can dance around the house and not care who’s watching but then worry about what her friends at school are going to say about one little thing or another. We are like this as grown-ups too don’t you think? Dance around the house with a broom and then fret about what to wear to an event and what others might say about you. Even the most confident worries some times. Thankfully our kids have us to back them up and help them out, so don’t forget about all the little tiny worries your kid might have as they take on this big scary new school year. 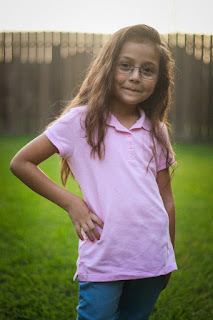 Towards the end of the school year Hailey started telling me about her trouble seeing in class, I knew then that she was going to need glasses – mind you my husband and I wear glasses and we have worn glasses since we were young kids. I was not totally surprised. Since little bear worried about what kids might say if she showed up to school with glasses from one day to the next and as a mom I also worried she’ll loose them or take them off because she is not used to them. I decided to wait and get her glasses when school was out. So over the summer we went to the optometrist and she picked out her new glasses! After she tried on each and every pair of course! Just a few weeks in and little bear is super great with her glasses she wears them all the time. 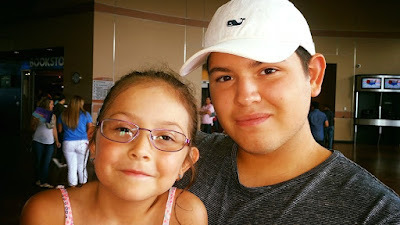 We chose to get her transition lenses to wear out and about to protect her eyes from the sun and a pair for indoors with a blue lenses to protect her eyes when she is one her tablet or watching TV. She has been super responsible wearing them and she even will switch them out when she plays on her tablet. 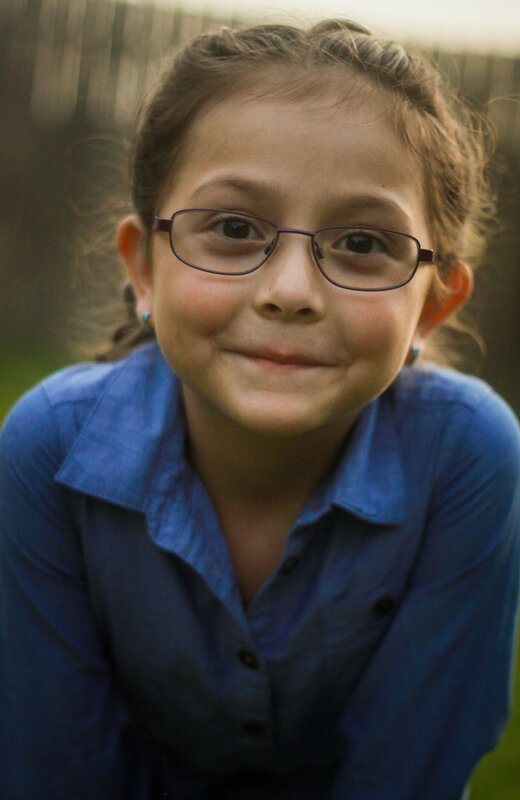 She walked out of her room the other day hands on her hips and simply stated “I don’t care what anyone says about my glasses, I can see everything now!” I know I am a little bias but to me she is the cutest tiny human wearing glasses that I have ever seen! it's so great that glasses are stylish again. i remember when i first got a pair in high school i was so paranoid. she's adorable! Well said. That's so funny, even as an adult I was worried about getting new frames. Then I just had to do it!! !